Meant to be Seen - View topic - Razor OSVR hdk2, HTC VIVE & Oculus Rift hmd, i got one now!! Razor OSVR hdk2, HTC VIVE & Oculus Rift hmd, i got one now!! Hi, so I finally tried out Budget Cuts today. I picked it up on Steam for around $16.59 or something like that, it was around 50% off so I thought I would get it now since its a game I been meaning to try out. I am playing on my Oculus Rift 360 room scale and its pretty decent. Some things are hard to get to since my desk and furniture is in the way but I could play in the living room on my HTC vive anyways. So in this game you are given intructions on what to do and where to go and you have to keep cover in some areas. There are robots and buildings so far as what i've seen and Budget Cuts seems pretty decent. Hey so I came across a mod for DOOM Vr. The original Doom from 1993-94 Doom2 and Hexen. This mod also comes with Brudal Mod which enhances the Gore effect greatly, its totally worth it to check this out! I have been wanting to play Doom 1 in Vr since 1994-95 when Oculus and HTC Vive were just a dream. Hey, so I been meaning to try some new games out in Vr and decided to try out Vive Port subscription. It cost $13 bucks a month right now for playing 5 different full version games a month and starting April the service will allow 500 titles overall a month or something like that, its the infinite subscription service. So the first game I tried today on Vive Port was First Person Tennis Vr. Its pretty realistic and feel like your playing tennis, the GFX are top notch and the A.i. is pretty cool and challenging. This game cost around $25 dollars to buy but if I add 5 of these similar priced games it will only cost $13 dollars for a month ( not to bad ). Last edited by Dom on Fri Apr 05, 2019 3:54 pm, edited 1 time in total. Hey, so I recently hooked my Leap Motion back up and tried a few demos for it on my Oculus Rift. It works surprisingly good and I am happy with the results. I just need to find some real games that support the Leap Motion controller with the latest Orion Beta and Oculus Rift CV1. 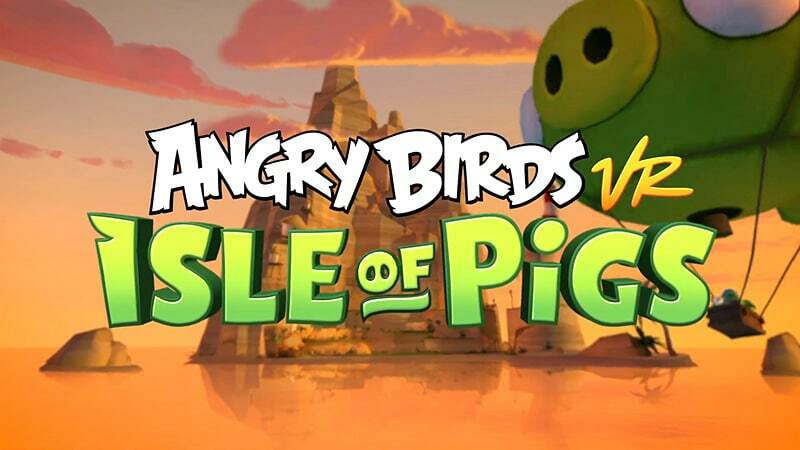 Hi, so today I am going to show you guys Angry Birds Vr: Isle of Pigs. It's pretty cool and fun, you are overseeing the scene of buildings and have a slingshot in your hand to shoot the Birds. There are around 156 levels to play across different locations. The GFX is kind of cartoon but looks nice and it's not too intense of gameplay, really relaxing. It's pretty decent and me and my Girlfriend both played it. So here is another game I checked out, Shooty Fruity Vr on my Viveport Subscription playing on my HTC Vive. Its a cartoon-like game with cool physics and gameplay. You are a cashier and have to scan the items and shoot the walking fruit that invade the store. It's a colorful game and is pretty fun and challenging. Heres a 360 video of me playing on my HTC Vive, This game is standing or front facing you don't move that much. Hi, so I picked up Beat Saber today on Steam for $22.79 and checked it out for a bit. Now this game is an exercise game with music. You have Light Sabers like in Star Wars and have to cut blocks cutting them in the direction of the arrow shown on the block, and also the right hand has a blue saber and the left hand has a red saber. I played on normal mode and its quite challenging and expert level I CANNOT do lol There are to many blocks coming too fast and I fail the level. I will need to practise more I guess. Overall I give this game a 9/10 for it's GFX, sound and gameplay, And its not to pricey. 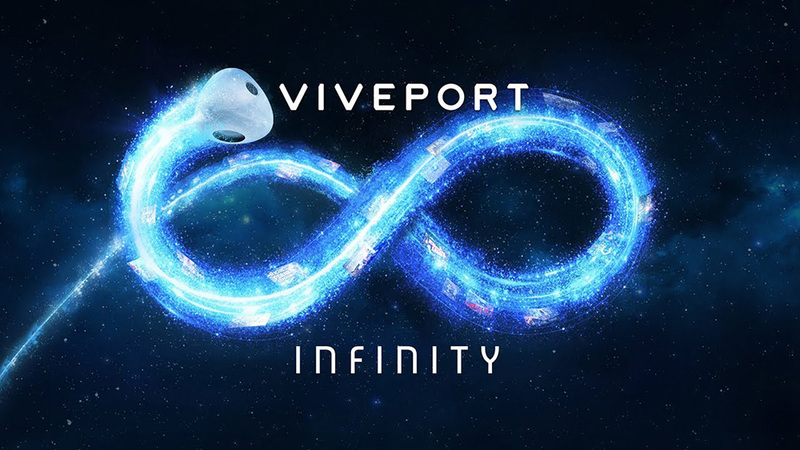 Hey so on April 2 this month VivePort Infinity Subscription got enabled which lets you play over 600 titles in Vr on both Oculus and HTC. I have the subscription and think its worth it since I change games so much and whats $13 bucks ( like two or three coffees ). So today I am showing a Vr experience called Overview Vr : its a space and galaxy documentary giving detailed views of outer space and is scientifically accurate. I was trying it out on my HTC Vive.